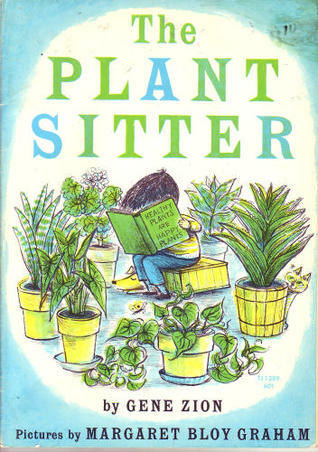 My school’s Year 1 class have been reading ‘The Plant Sitter’. 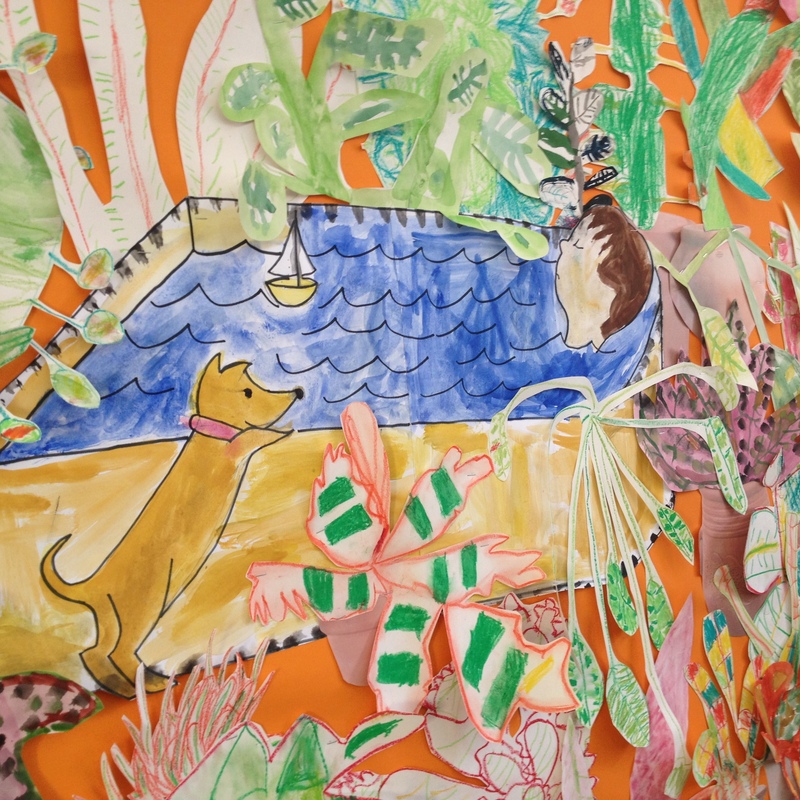 This is a really magical (if rather old fashioned) story of a little boy called Tommy who takes in his neighbour’s plants while they are on holiday. It was my favourite book as a child in the 70’s. 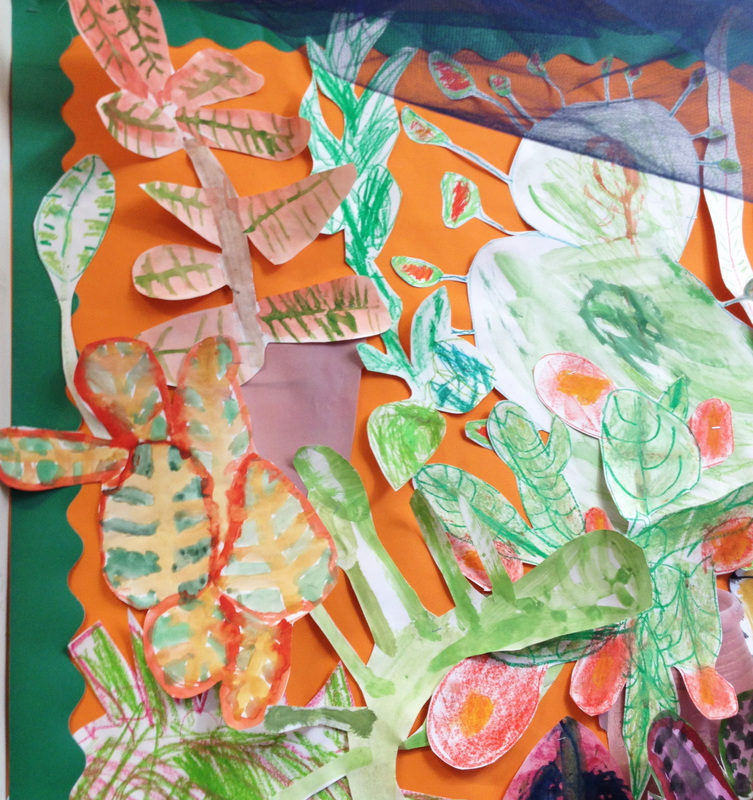 Inspired by Margaret Bloy Graham’s wonderful illustrations, we spent time in the garden, studying plants through drawing. 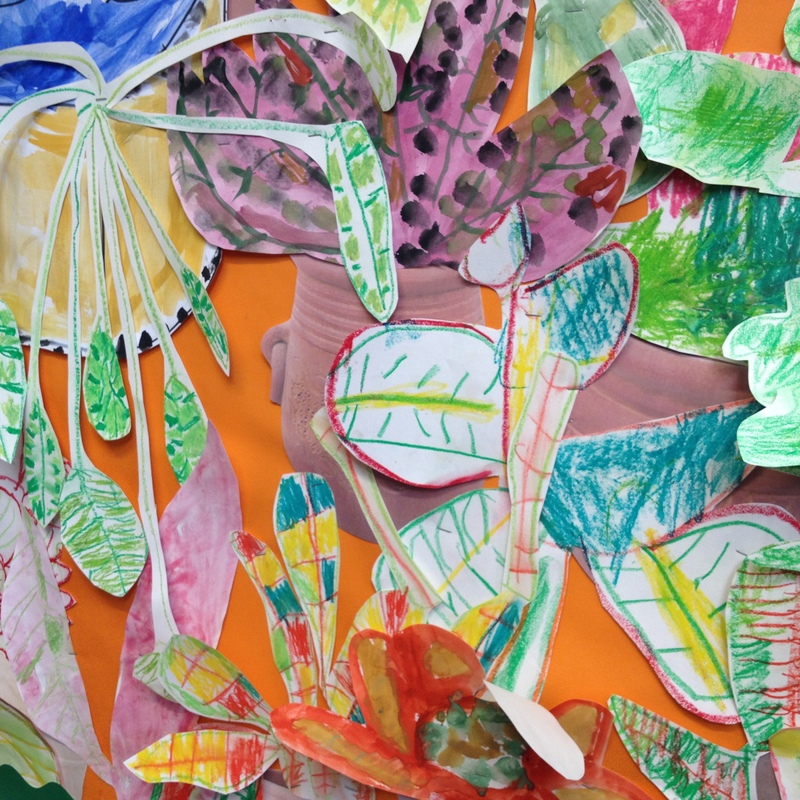 The children then used watercolours and oil pastels to create their own pot plants of different shapes and sizes. In one part of the story, Tommy dozes in the bath surrounded by plants. He imagines he is in a forest, swimming in a lake. 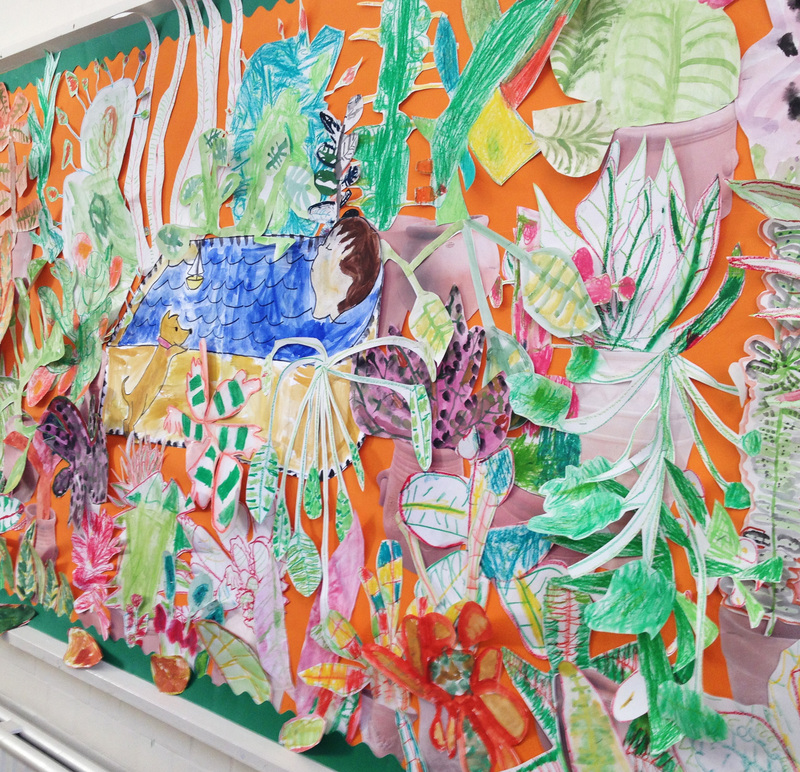 We created this display in the classroom, based on Tommy’s daydream.